The so-called fourth industrial revolution, also known as Industry 4.0, will provide more development opportunities for businesses but will also require businesses to prepare qualified human resources to meet the industry’s standards, according to experts. To prepare for the new wave, many businesses have invested in buying modern machines and equipment and in training human resources. 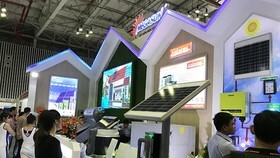 But in the Saigon Hi-tech Park, for example, high-tech firms still lack qualified staff to meet their demand. Deputy Director of the park Le Thanh Nhan said businesses in the park need workers capable of operating modern equipment and technology. 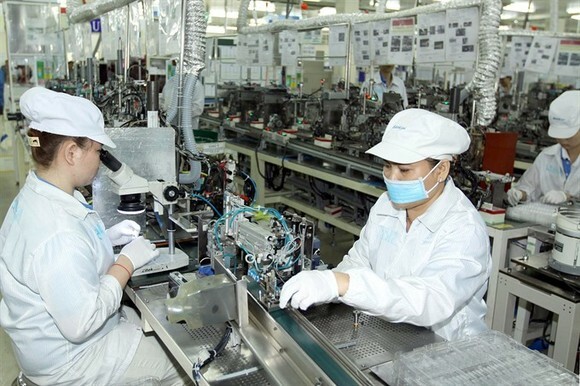 CEO of the Meetech Technology Joint Stock Company Pham Ba Khien said the number of high-quality workers who could map out ideas or operate modern equipment was limited. They mostly come from universities, but the rate of applied research for start-ups was low, he said. 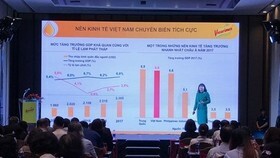 Nguyen Van Thụ, chairman of the Vietnam Association of Mechanical Industry, said at a recent conference in Hanoi that investing in human resources should be considered the most important task for local manufacturers, in addition to fostering technical innovation and enhancing co-operation among businesses to maximise efficiency and avoid overlapping investments. 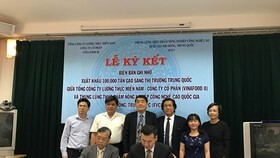 To deal with the problem, the Training Centre of the Saigon Hi-tech Park has supported businesses in training workers to meet their demands for high-quality human resources. Experts also warn that besides focusing on training high-quality human resources, it is also necessary to upgrade or reform training programmes and methods so that employees can meet the demands of Industry 4.0. 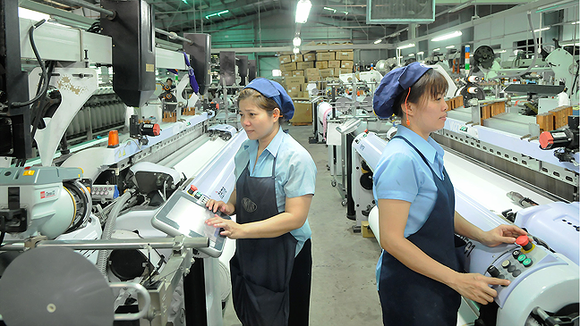 Tran Quang Binh from the HCM City Technical and Economic College said demands for a high-tech workforce were growing, while well-trained human resources supply capacity was limited. 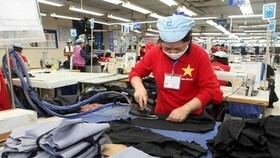 Head of HCM City Economic College Lam Van Quan said the labour market would face a serious gap between supply and demand. Vocational training must equip learners with basic skills and knowledge, together with creative thought and ability to adapt to challenges and jobs’ requirements. Vocational training centres should strongly renovate from training activities to school management to “create” workers who are capable of working in a competitive and creative environment, he said. 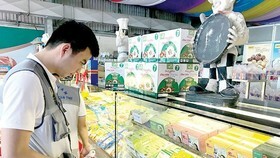 Old training methods that targeted supply instead of demand are an obstacle to this reform, he said. In response to rapid technological change, the General Department of Vocational Training said virtual training and digitalising education would be the trend of vocational training in the near future. Centres should shift to the models of training that the market needs, according to the department. 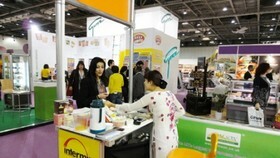 Experts say one of the most reasonable solutions for improving workforce quality is to co-operate with businesses. Dang Thi Nhat Minh from the HCM City-based Ly Tu Trọng Technical College says vocational training schools should co-operate with businesses and scientists to analyse socio-economic conditions and build appropriate training models. Businesses regularly invest in new equipment and employ professional and skilled experts, both of which could be placed at the disposal of students, he said. Students would also have opportunities to work and practice in a real working environment and directly learn from experts so their training meets business demand. 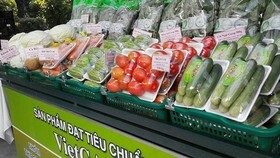 Minh Nguyen Logistics Joint Stock Company in HCM City, for example, has worked with universities to select qualified graduates. The company also regularly co-ordinates with strategic partners from the Republic of Korea and Japan to organise training courses for management staff and high-quality engineers.